I’ve written a Chrome extension (Download) that has a little fun with your web history. 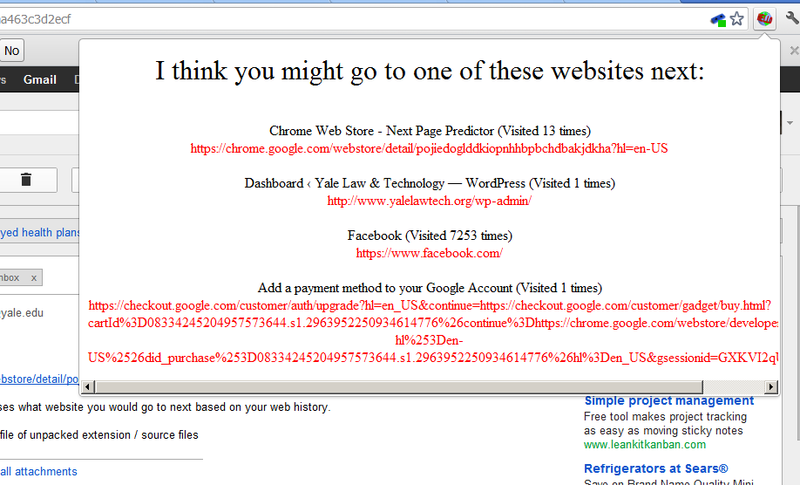 The plugin will attempt to guess four websites that it thinks you are likely to visit next. It does this with the aid of your web history. As you can see, the plugin is influenced both by recent activity and larger trends (e.g. Facebook has been visited 7253 times). You should try it — it’s quite quick to download.